MONTEPULCIANO D’ABRUZZO OR NOBILE DI MONTEPULCIANO? Montepulciano d’Abruzzo IS NOT Nobile di Montepulciano. Montepulciano is both a grape variety and the name of a village. Montepulciano d’Abruzzo is the wine produced from the Montepulciano grape when grown in the Abruzzo region. On the other hand, Vino Nobile di Montepulciano is produced with Sangiovese grape in the Tuscany region. The name of this wine actually derives from a village located in Siena province, called Montepulciano. Confusion seems to be an Italian speciality. Foreigners actually love us for it even if it sometimes causes considerable communication problems. This is the case of Montepulciano. A wonderfully-sounding word that indicates many (perhaps too many) things: a beautiful location in Tuscany, a variety of grapes from the Abruzzi used in the name of two wines, one Tuscan and one Abruzzi. How can we explain all of this to our passionate wine drinker? He often thinks it is the same wine. Or that the Montepulciano d’Abruzzo is the Tuscan wine (the Nobile di Montepulciano) made in the Abruzzi, even if the two wines have nothing in common. In actual fact, the answer is not really so hard to explain. 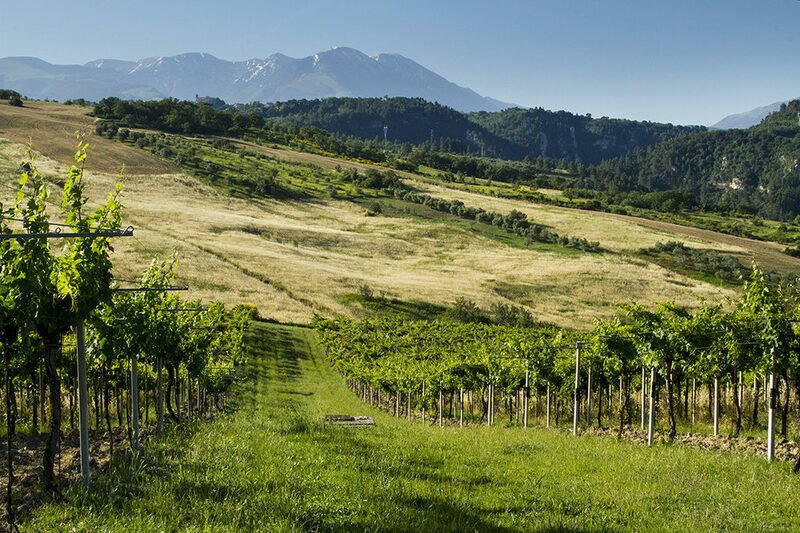 It is a mere coincidence that Tuscany and the Abruzzi use the same name, everything else is different. And that’s all there is to it. No, perhaps not. To add to the confusion, someone has tried to demonstrate the common origin of both wines by attempting to trace the Montepulciano grape variety (grown in the Abruzzi) to the Prugnolo Gentile – a kind of sloe and a bio-type of the Sangiovese Grosso, the main variety used in the Nobile di Montepulciano wine produced in Tuscany. In reality, the debate is still open and we would therefore like to have our say in the matter. We believe that it became widespread in the very distant past, perhaps even in pre-Roman times, when it made its home in the Peligna Valley between the villages of Raiano and Sulmona, which, as history would have us believe, was colonized by Paeligni people coming from Asia Minor or Illyria in approximately the 12th century BC. We are convinced that the two varieties have nothing in common and have different origins. The taste, colour and morphology of the bunches are totally different, so in our opinion, the Montepulciano variety cultivated in the Abruzzo clearly has a Greek/Balkan origin due to its complex morphological characteristics, vigour and so on.